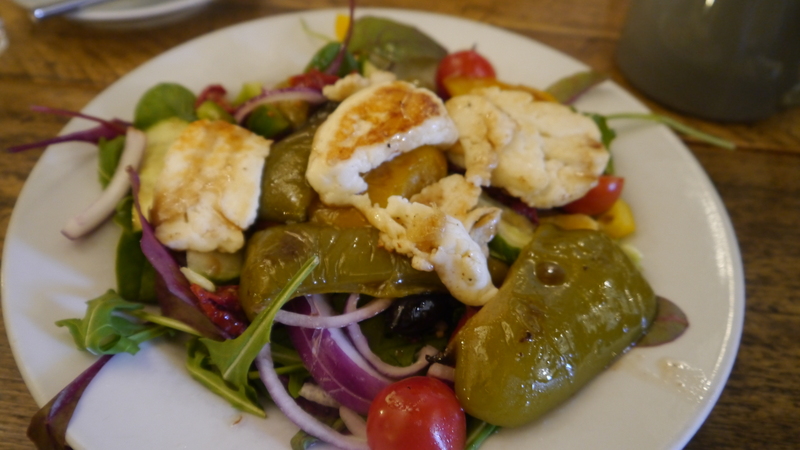 I’m going to say it from the beginning, this post will be extremely bias. 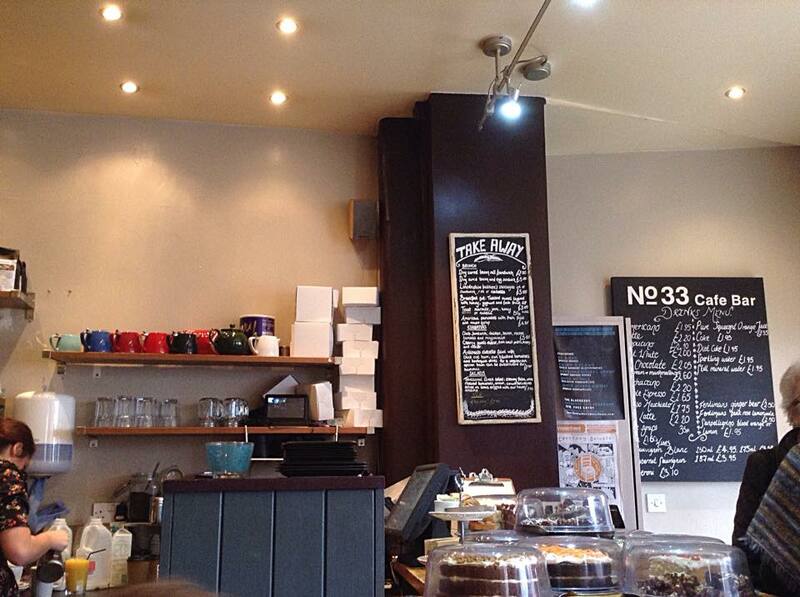 I did my work experience at No33 and since then have been working there weekends. 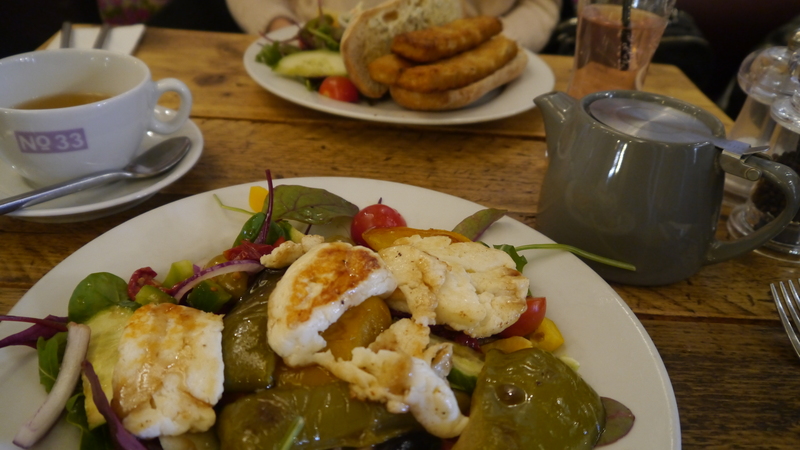 BUT, I honestly do believe this is one of the nicest cafes in Norwich and I am going to keep this as honest as I can. 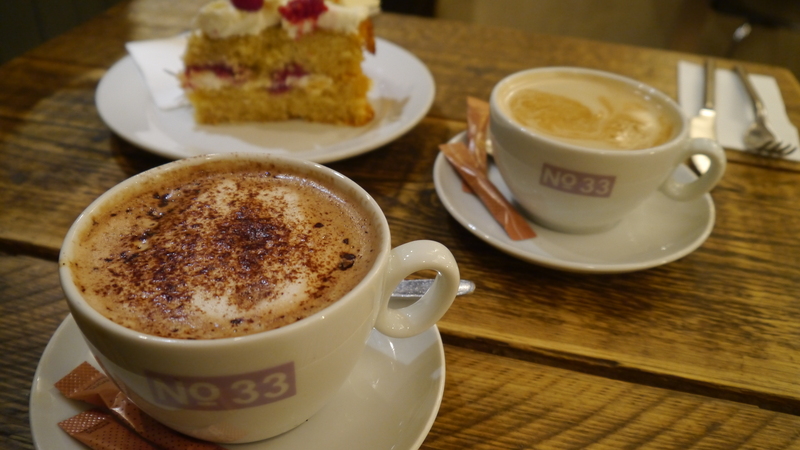 One of the most popular things is the ‘coffee and cake deal’, which is any slice of cake, rocky road or flapjack and any hot drink for £3.85. 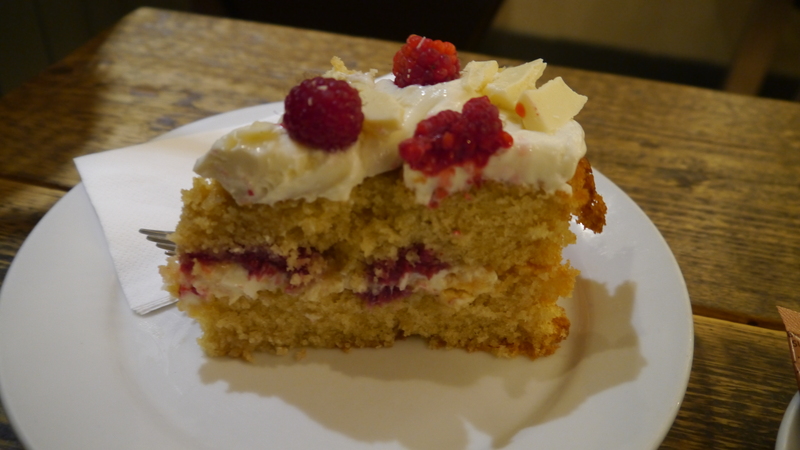 I promise you will not be disappointed with the size of the cake slices, and the butter cream icing is some sort of magical combination with mascarpone in – hand on my heart the nicest icing (or possibly food in general) I have ever tried. 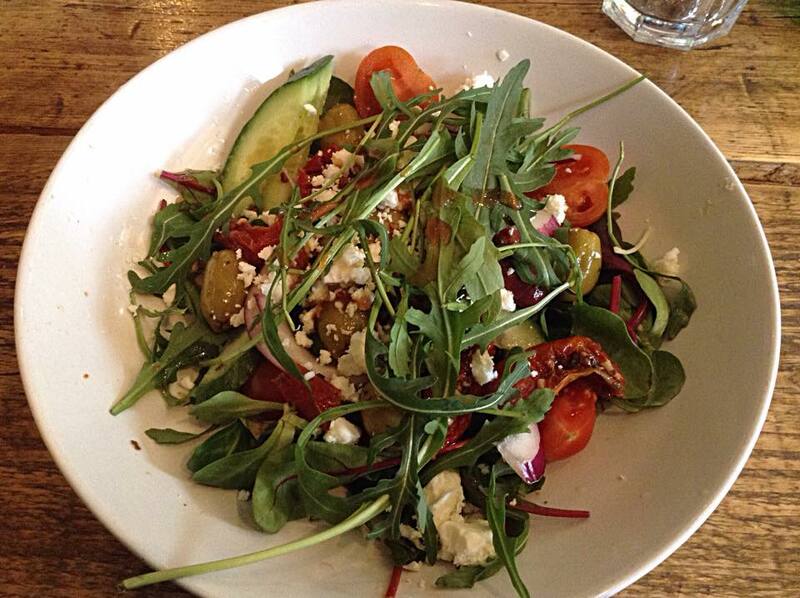 Greek salad – leaves, olives, cucumber, pepper, cherry tomatoes, feta and sundried tomatoes. 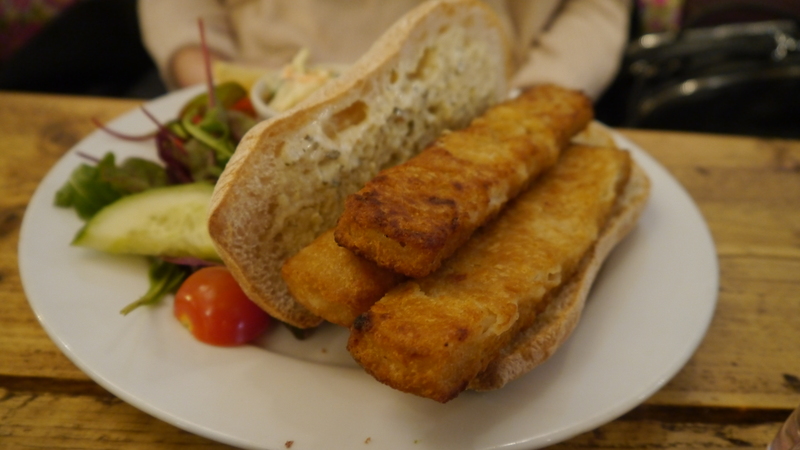 Fish finger sandwich – 3 fish fingers in a ciabatta, with side salad, home made coleslaw and tartar sauce.